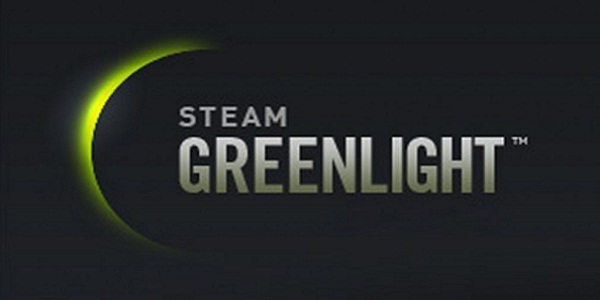 Well so much for doing an Adam versus Steam Greenlight post as a monthly feature. Ah well. Let’s get back in the swing of things with a quick two-game edition of AvSG. For the benefit of any newcomers to this series of posts, this is where I pull a few games out of my Steam Greenlight queue and publicly decide if I would buy the game were it to appear on Steam. On that note, here’s the first contender. Ultimate Space Commando (USC) is an old-school turn-based strategy game that focuses on actual field tactics as a small group of elite commandos become engaged in a deadly conflict with a yet unknown, but rather ravenous species of aliens. Make relevant strategic choices, develop tactics and equip your soldiers as you see fit, try to survive and give the aliens hell in the single-player Campaign. Build and customize 4-man squads to play various ‘Single Missions’, Scenarios and ‘Defend the Base!’ actions alone or in a hot-seat or TCP/IP multiplayer session with up to four players, either man vs. aliens, man vs. man or even mixed, with various objectives, official scoring system, and much more. A full-fledged and truly Random Map Generator makes every mission you play unique and challenging. Interesting, very interesting. Ultimate Space Commando has the look of a game inspired by X-Com while being primarily concerned with producing a deep table top role-playing game experience on the PC. From the trailer, the game engine seems to make graphical concessions in favour of dice rolling and stat management. The key question for me: is this game going to be complex or complicated. Ultimate Space Commoando’s detailed information boasts a “plausible” combat system with 4 character properties, 9 skill attributes, and a detailed weapons system featuring 18 weapons and various ammunition types. But wait, there’s more. We’re also being promised a crafting system and RPG style unit customization. Assuming I won’t need to read a fifty page manual before I can sink my teeth into the game, this sounds very promising. But there’s a fine line between a game that gives me the freedom to tinker, and one that piles on the micromanagement as a stand-in for meaningful gameplay. The other thing that strikes me as somewhat odd is USC’s gameplay footage running at a faster than normal speed. I hope that’s because the developer wanted to show off as much as he could. My fear is that it’s an attempt to cover up a painfully slow paced game. My love of rich RPGs outweighs my fears that this game might prove dense for the sake of dense. Play in your own ways in an immersive world is all a Role-Playing Game (RPG) is about. And that is exactly what AuraviaL is trying to achieve! With its randomly generated worlds filled with secrets and wonder, and its non-player characters programmed with artificial intelligence, become a hero in your own ways in a universe of magic and spells. You will also be able to manage your wealth, reputation and friendships. Finally, recover the meaning behind “AuraviaL”, because after all, how can a RPG exist without a storyline! I don’t know how much fun I’ll have in a game where one of the big selling features is setting up spell casting macros. Mechanics along those lines were fun for two hours in Magika; then I got bored of doing the same old shtick. I should also mention that I quit playing Fable because I didn’t really feel like spending my precious gaming time on managing friendships with AIs. And as much as it appealed to me, I quit playing EVE Online because I didn’t have the time to manage a fake financial empire. All of these things lead me to think that AuraviaL isn’t quite right for me, at least not from what I have seen so far. In the proper proportions, I will admit to enjoying all of the above mentioned mechanics. I’m fairly certain one of my undergraduate girlfriends broke up with me because of my fixation with Egosoft’s X2 – The Threat. But balancing an interesting procedurally generated world, meaningful story, interactive NPCs, a free market economy, and a combat system is a tall order, especially in a one person operation. If there’s a meta-lesson to producing indie games, it’s that the best ones are truly excellent at one or two things and ignore the rest. Much as I admire this developer for his/her ambition, I don’t know that I would roll the dice on this game without knowing a bit more about it. Next month, we return to the usual three game per AvSG formula. And as always, if you’re a game developer with a game on Greenlight, then send me an email so I can shed some light on your game.